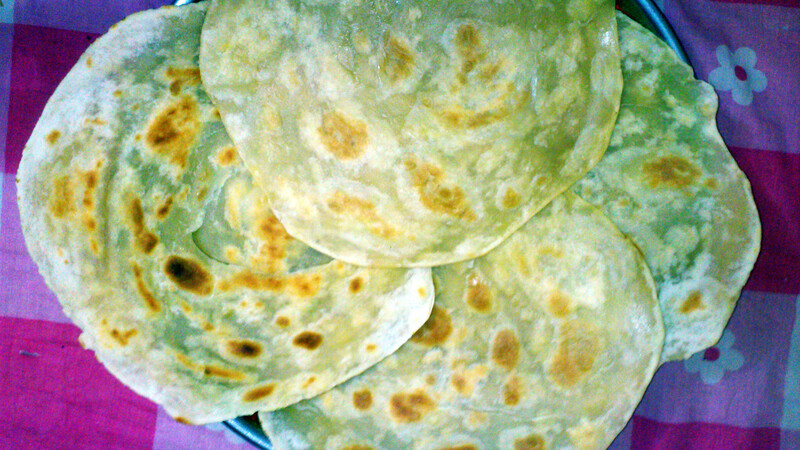 Dhoka, which is prepared using Matar (Peas) daal and Coconut grinded and mixed well before cooking them on a frying pan. My wife used nuts pasted as well, which then added some more taste to it. The best part is the making of the rectangular shapes when it is being cut. I love to do it! I remember having Dhoka at a fast food shop at my place when I was a kid. But I never thought that this thing could make an awesome curry preparation as well! 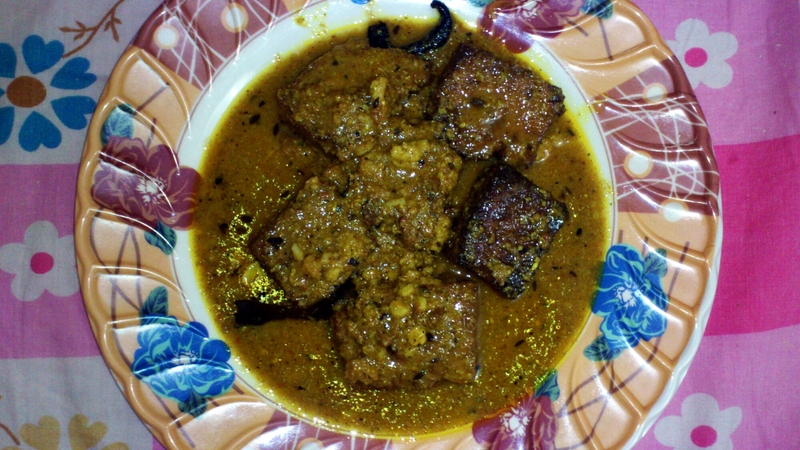 Dhoka’r dalna is a well known Bengali preparation. Casual lunch to occasional dinner, it works. Combined with Parathas which was fried with Ghee (Oh man! The smell of it!) made it my perfect dinner. A very good night with a tummy full of dreamy food.